Popfunk became the first US company in the pop culture licensing industry to print on-demand apparel in 2007, and started selling directly to customers on Amazon in 2016. 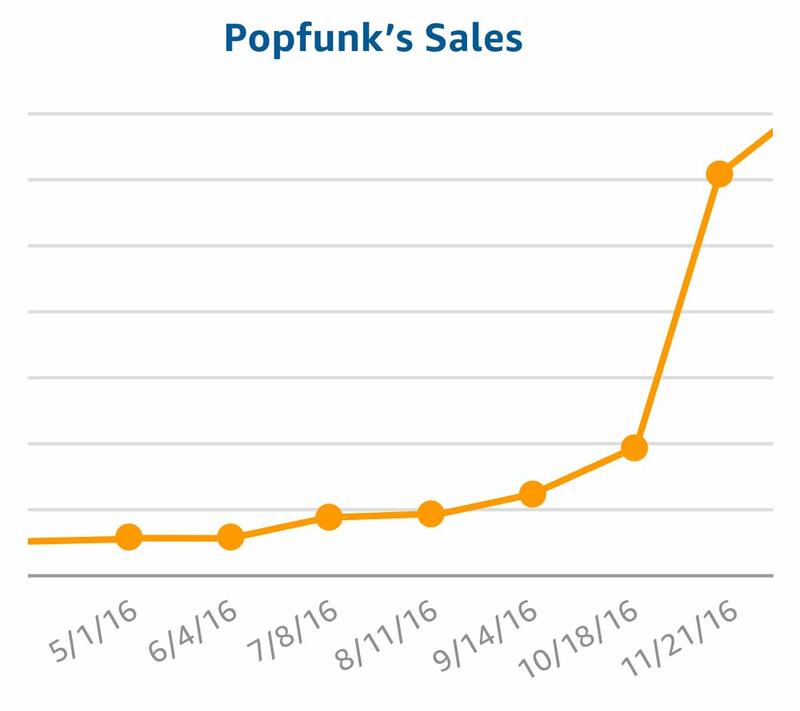 But for Popfunk, the real game-changer for its business was when it began advertising on Amazon. With licenses from major studios and brands to officially sell their merchandise, Popfunk was already a trusted brand when it started selling its T-shirts, stickers, and wall art on Amazon. But as it pivoted from its traditional business model to e-commerce, the company wanted to increase visibility and discoverability on Amazon, and it wanted to do it quickly. Since launching its first campaigns, Popfunk has discovered how advertising on Amazon can influence both its brand and bottom line. In its first six months of advertising, the company increased monthly sales on Amazon by 550%. Since then, Popfunk has seen a lifetime return on ad spend (ROAS) of over 700%. But the impact of Popfunk’s ad campaigns goes even further—it has had an effect on the DNA of the company itself. Thanks to our business on Amazon, we more than doubled the size of our facility in Detroit from 30,000 square feet to 70,000, and I can confidently say we added around 25 new jobs specifically for our Amazon business,” Trevor said. “Our move to Amazon and our Amazon Advertising campaigns were a big piece of the success we’ve had. Read Popfunk’s story to learn the top six strategies that helped the company achieve its advertising success.